LINKS TO THE MOST POPULAR LOCAL ATTRACTIONS! Some Things You May Enjoy. Be a part of the newest sport to hit the eastern United States. 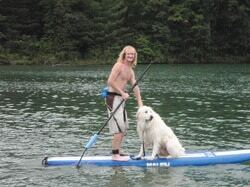 We provide Stand up paddleboarding for beginners to experienced boarders on beautiful Watauga Lake. With tours ranging from hourly sessions to all day excursions, paddleboarding offers safe and healthy exercise for singles, families, church groups, school classes, or corporate outings. Off The Grid Adventures at Fish Springs Marina is a paddle board rental and guided tour business. You will always have fun with my sister on the lake she loves water and paddle boarding. In addition Fish Springs Marina offers boat rentals and more for lake Watauga. Bee Cliff Cabins is nestled in the mountain valley of Siam on the Watauga River. The cabins are a great place for fishing, hunting, or just a peaceful family get-a-way. Three of the cabins are about 40 feet across a small road from the river and the others are located across the street on a hill with a beautiful scenic view. All the cabins share a dock on the river, but each cabin is fully furnished with all the luxuries of home. All you need is the food! Plus each cabin has its own private porch. The area has many exciting features; the lakes are only miles away, a river for fishing, rafting, and kayaking, and places for hiking including the Appalachian Trail. These unique cabins are owned and operated by John and Norine Allen. The Tweetsie Trail is a rails-to-trails project, traversing former ET&WNC (“Tweetsie”) railroad right-of-way between Johnson City and Elizabethton, Tennessee. The trail provides opportunities for walking, hiking, running and biking on a relatively flat grade in beautiful North East Tennessee. Time after time, race after race, it is said that there's just no place better to watch a race than at this half-mile oval located in the foothills of the Appalachian Mountains here in northeast Tennessee. The fans say it, the drivers say it and so do the media. Read it, see it and hear it for yourself by choosing an option to the left. Beck Mountain provides, Corn Maze, Haunted Maze, Wedding Barn, Events can also be hosted there. General admission includes the regular daytime maze, the petting zoo, the playground area, the fire pit area, and the hay bale bull roping area. Many other activities are available, please call for information. The Elizabethton Covered Bridge is a 134-foot covered bridge over the Doe River in Elizabethton, the county seat of Carter County, Tennessee. The Elizabethton Covered Bridge was constructed in 1882 and connects 3rd Street and Hattie Avenue. 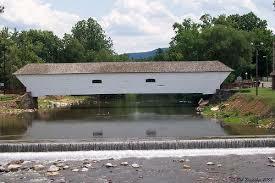 One of the oldest covered bridges in Tennessee. Learn what Watauga Kayak can Do for you.